Six people are facing a total of 262 charges in connection with an alleged taxi fare scam in the Greater Toronto Area. According to police, the alleged scam targeted customers taking cabs in the evening and early in the morning in the GTA. Police say drivers would pick up a customer and drive them to their destination. 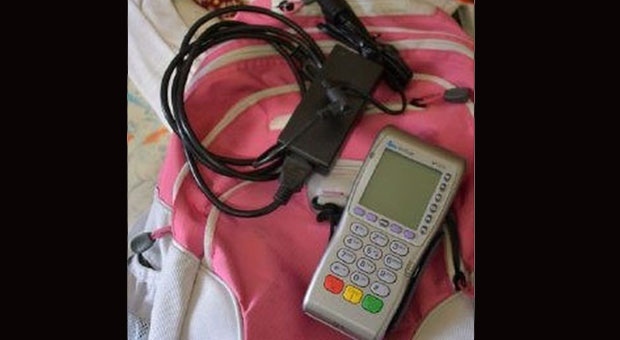 When the customer would attempt to pay for the fare using their debit or credit card, police say, the driver would hand them an altered point-of-sale machine. The customer would attempt to enter their Personal Identification Number (PIN) but an error message would come up on the machine. Police say the driver would then swap the customer’s card out with another card from the same bank without their knowledge. The customer, police say, would finish the transaction and remove the card, which they believed to be their own. Investigators allege that the cab driver would then take the customer’s card to a bank and access the customer’s account using the PIN captured in the point-of-sale machine. The driver, police say, would then empty the customer’s account. Investigators say in most cases, the customers did not realize that they had been defrauded until they were notified by their bank or tried to use the card the driver gave them. On Dec. 19, search warrants were conducted in connection with the case. Police say a point-of-sale machine, financial documents, and mail and personal banking information was found during the searches. Four men, one woman, and one teen were subsequently arrested in connection with the case. The accused have been identified by police as Alex Ghakhar and Adam Ghakhar, both 22, Mohammad Sarwar, 25, Tracy Begley, 48, and John Alexander Mackenzie, 24. A 16-year-old boy, who cannot be identified under the provisions of the Youth Criminal Justice Act, was also arrested. They are facing a combined 262 charges, including fraud over $5,000, fraud under $5,000, identity theft, unauthorized use of debit/ credit card information, possession of property obtained by crime, and possession of proceeds obtained by crime. All of the suspects are from Toronto, police confirm. Investigators say the taxi companies are not directly involved and are not being held responsible for the thefts. Speaking to CP24 on Thursday, Amanda Galbraith, one of the victims of the scam, said she is glad to see that arrests have been made. “I consider myself pretty savvy. I take taxis all the time and I usually don’t give my card and when it happened, I kind of had this weird feeling but I thought whatever, (it) didn’t go through, (I) gave the guy cash and didn’t think anything of it,” she said. She said the incident has made her think twice about handing over a debit card in a taxi. “Now I take the cab numbers down and that kind of stuff,” she added. Police are advising taxi passengers to never leave cards unattended in point-of-sale machines at any time. Investigators also remind those using cabs to be aware of cab numbers and company names as well as driver identification cards displayed in the cab.